Overflowing gutters are one of the main reasons you might experience issues such as a cracked foundation or basement flooding. 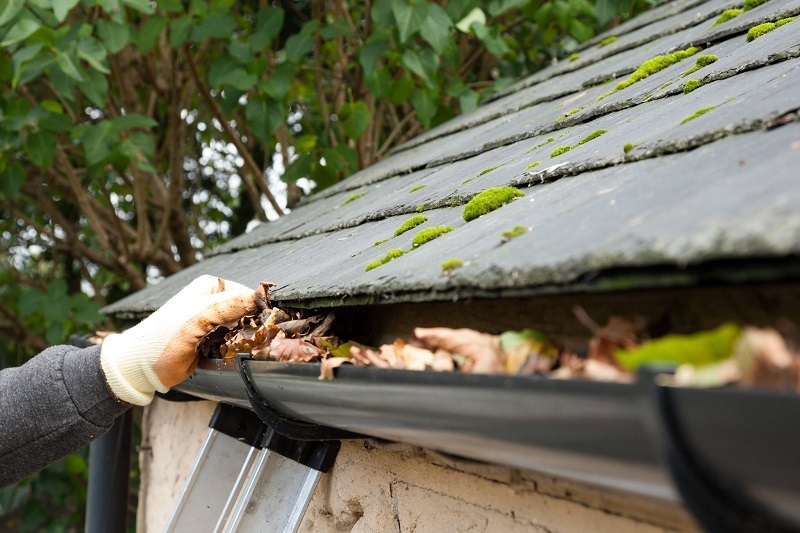 Neglecting to clean your gutters can lead to expensive, time-consuming repairs. Insect Infestations – Stagnant water and debris sitting in your gutters can become a breeding ground for unwanted pests, such as mosquitos, wasps, and termites. Flooded Basements – When your gutters are clogged, water flowing off of your roof has nowhere to go. As a result, it tends to slide your soffits and into your basement, which can cause extreme water damage. Wood Rot – Overflowing gutters causes moisture to become trapped and rot the wood fascia that outlines your home. This problem will worsen as time goes on, and can lead to costly repairs. Cracked Foundation – As clogged gutters prevent water from being properly removed from your property, water can settle around the foundation of your home. During the colder months, this water may freeze and cause your foundation to suffer severe cracks. Lastly, gutter cleaning can be a dangerous task if you are not equipped with the right tools. Walking along your roof, and climbing up ladders can lead to serious accidents, so let our well-equipped professionals at Clean Finish handle this job for you. If you are interested in having your gutters cleaned, contact us today for an appointment, and feel free to ask about any of our other many services.